Some great rock and roll being released today including remastered selections from John Lennon. As always, Collecting Vinyl Records Blog Picks Are In Red. Stimulators - Loud Fast Rules! Legendary heavy metal singer Ozzy Osbourne has recorded a cover version of John Lennon's "Imagine" to benefit Amnesty International. The track is being released today (Tuesday, October 5) via iTunes. A video for the song will make its online debut on AOL's PopEater.com. The Who are scheduled to re-release 'Live At Leeds' to coincide with the album's 40th anniversary. The super-deluxe collectors’ edition is due to be released on November 14. It will feature the band's original performance at Leeds University on February 14, 1970, as well as their set from Hull City Hall on the previous night. The new edition will also include a heavyweight vinyl reproduction of the original six-track album and a new 64-page hard-back. Housed in a hard-back box, 'Live At Leeds' will also be accompanied by a classic Pete Townshend poster and replica 7” single of ‘Summertime Blues' and 'Heaven & Hell’. Ulterium Records are proud to announce the release of a limited 12? picture disc edition of the INNERWISH album 'No Turning Back.' The edition will be strictly limited to 250 copies, and the release date is scheduled for November 12th. Unless you live in a cave, you should know that Oct. 9 is the day John Lennon would have turned 70. To celebrate, today, Oct. 5, EMI will release eight of his solo albums plus two compilations and an 11-CD box set. (all with remixed sound supervised by his widow, Yoko Ono — showcasing his solo work after the Beatles’ split up in 1970). Based on Amazon's pre-sales, the "John Lennon Signature Box," which includes 11 CDs of all the albums, rarities and non-album singles, is #1 among all of the Lennon titles. "Double Fantasy Stripped Down," which includes the album as released in 1980 plus a new version produced by Yoko Ono and Alan Douglas, is the runner-up. Ono says the new version of "Double Fantasy" places the focus on Lennon's vocals. 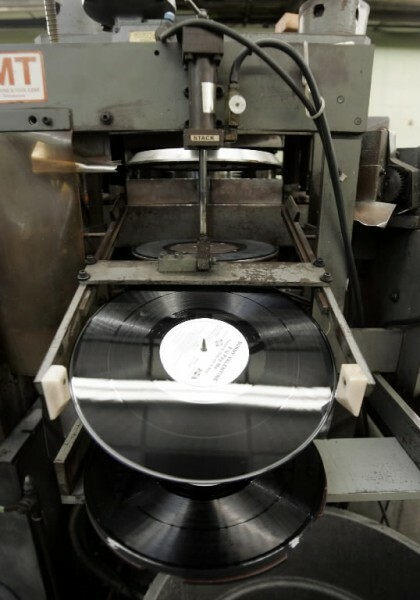 Comparing the original vinyl with the new versions of "(Just Like) Starting over" and "Beautiful Boy," her assertion is correct. Based on the new versions provided by EMI on a sampler, the reverb on the tunes has been greatly reduced. The new "Starting Over" no longer has the choir backing Lennon, and the drums, which dominated the original, have been placed deep in the mix. There's less vocal layering on "Beautiful Boy," and the mix emphasizes the island lullaby feel generated by the steel drums; both recordings have gone from tightly packed to loose and airy. 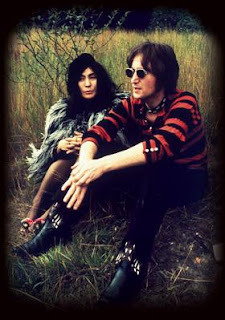 “John was a Renaissance man,” says Ono, who met Lennon at a showing of her artwork in 1966 in London and married him on March 20, 1969. “He was an inspired artist. He could not control himself; he just dished out all the things he was inspired to dish out. But also, he was aware it was very, very dangerous. Nevertheless, Ono says Lennon’s fearlessness and willingness to be controversial in support of women’s rights, protecting the environment, ending the Vietnam War and promoting peace and tolerance made a lasting impression that went well beyond pop music. “He’s a brilliant man whose work actually changed the world — or it changed the map of your brain, let me put it that way,” she explains. The John Lennon Signature Box: An 11-CD set featuring the eight solo albums he made while he was alive (including the newly created “Double Fantasy Stripped Down”), a disc of non-album singles and a CD of rare and previously unreleased material. John Lennon Box of Vision: An adjunct box designed to house Lennon’s releases in style, along with a 166-page book documenting his LP artwork, a lavishly illustrated discography and a pair of special recordable DVDs and CDs for fans’ use.